For some employees it’s more than just a secret: they simply haven’t the first clue as to how to move ahead in their career. Some folks are stymied by the idea of asking their boss for a higher position in the company and the raise that often comes with it. Unless you ask, it’s possible you’re just not going to get one. Most employers aren’t eager to hand out more money to members of the workforce no matter how great some of them may be at their respective jobs. It’s up to the employee to initiate the conversation in most instances. This is an unfortunate fact for millions of Americans who get up every morning and put in their eight hours a day. You’re likely one of them, dedicating yourself to the success of the corporation for whom you work, and most likely have worked for much of your career thus far. You wonder why you’re not getting ahead and it’s starting to get frustrating. You may even begin to feel under appreciated by your boss and it’s starting to affect your job performance. Here’s the first thing to know- a dip in the quality and quantity of your productivity certainly isn’t going to help your cause. 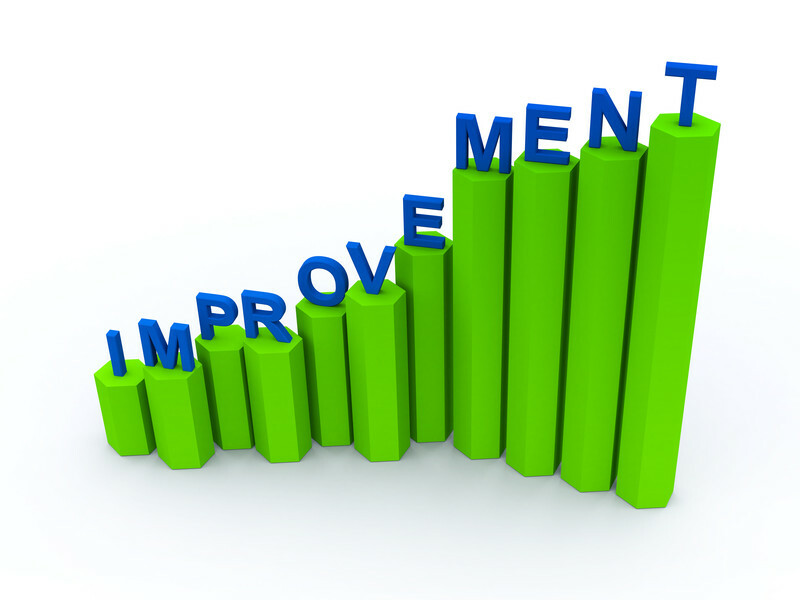 However, there are methods you can employ to impress to the higher-ups that you deserve a promotion and a raise. It takes a bold approach to get what you want. You know what they say about the squeaky wheel getting the grease; well, it’s time you start getting a little of your own grease. We’re going to give you a few hints and tips on how to broach this sensitive subject with your employer. It doesn’t matter the field in which you work, these helpful ideas will serve you well in any industry. Just keep your head high, have full confidence in yourself (but don’t get too cocky), and make a clear and convincing case as to your worth and importance to the organization. Of course, you will actually have to demonstrate your contributions in practice, and not just in the week or so leading up to the time you ask to sit down with your boss to discuss your current pay structure either. Although it may not seem like it now, your employer does notice what you do at the office all day. In fact, they may just be waiting for you to start the conversation about higher compensation. Prepare yourself to have that discussion by checking out some of these secrets to getting that raise or promotion you want and deserve. Your boss may not be ready to give you a raise yet, but he or she may be willing to listen to your request when you ask to have a sit-down about your compensation and career path within the business. If you want to increase your chances of receiving a promotion, it is going to require you to be proactive about proving your worth to the company. This isn’t just about working hard, you also need to make sure your boss knows how invaluable you are to the success and progress of the organization. It’s up to you to determine how best to accomplish this, as only you know how your employer defines real value in the company workforce. Regardless of your course of action, the first step is to start viewing yourself and your duties through the same prism as your boss: an investment in the company’s future. Your boss is paying you a salary every week to improve the fortunes of the business. That is an investment of company capital made for your abilities and it’s up to you show a return on that investment. 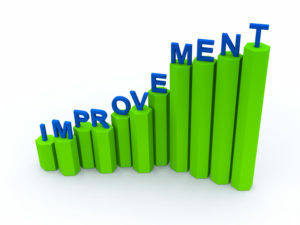 The more of a return that you can exhibit, the more valuable you will become to your boss and the company as a result. You can display this value in any number of ways that show just how indispensable you are not only to the bottom line but to the overall success of the team. Stay one step ahead of your department and your boss by knowing what needs to get done even before they do. Anticipating when and how something needs to be accomplished shows that you’re not just paying attention, but that you’re on top of your duties. If your boss doesn’t need to micromanage you, then he or she will give you more opportunity to handle more important jobs around the office. When your work is complete, ask around to see how you can help others in your department or make an effort to ask where you can pick up some slack. Showing your superiors that you are willing to go the extra mile and work just a little harder to make sure a project meets deadline or your department exceeds a quota for the month will go a long way to reinforcing the notion that you are a team player who is ready to fill in wherever you’re needed. Now that you’ve been entrusted with those additional responsibilities and you’ve shown yourself to be more than capable of taking them on, you can begin to build a case for that promotion or raise when it comes to time to have the discussion. It’s all about demonstrating your value to your boss and if your he or she can determine that you are worth the added investment, so to speak, he or she will be willing to invest more of the company’s capital into your continued growth and potential. Showing up to work each day is already a challenge for many employees; I’m sure you can think of a hundred other things you’d rather be doing instead of heading to the office most days. That weariness can be exacerbated when you don’t feel as if you’re appreciated when you do arrive each day. If you’re not earning what you feel you’re worth or don’t think anyone is recognizing what you do for those eight, nine, even ten hours of your day, it can be more than merely frustrating. Over time you may begin to resent your boss, your co-workers, even the very company itself and that will show in your work and your overall demeanor around the office. A negative attitude, perceived or blatant, is the wrong way to get noticed by your employer. While it may spur a discussion with your boss about your future at the company, it won’t be the one you’re seeking. Though it may be tough to do on some days, you must remain positive and motivated at all times. Portraying an image of professionalism and decorum while you’re on the clock will enable you to get the right kind of attention from your boss. Demonstrating this type of demeanor will make him or her more amenable to talk about your role at the company and what you feel you deserve. This attitude doesn’t just go for your behavior around your boss, it applies to everyone in the company or at least your immediate department. You want as many colleagues on your side as possible. Yes, this is about tooting your own proverbial horn. If you really want that raise or promotion then you’re going to need to let others know which jobs you’ve been doing and how much time and effort you’re spending on getting them done to the best of your abilities. You can’t expect your work to be noticed all on its own. If you want your efforts to be appreciated, then you’ll have to inform your boss of how much of yourself you put into your job and your duties each and every day. Make them aware of the time and resources that are involved and the sacrifices you are willing to make in the service of your job. Of course, don’t overdo it. No one wants to be that person in the office who won’t shut up about how great they are and no one in the office wants to deal with that person either. Being a braggart is the fastest way to make enemies, and remember, you want as many co-workers, associates, and superiors on your side. It’s one thing to mention how invaluable you are to the company and another to have them extol your virtues as well. Gaining positive endorsements from other people within the organization will prove highly beneficial in your bid for that promotion. One of the best ways to improve your standing with your employer and make him or her recognize how valuable you are to the corporation is by improving yourself. That means finding the opportunities for building your skills and knowledge that will best serve the company. Honing your capabilities is a surefire way to get noticed because it will make you better at your job. Seek out seminars, conferences, online training courses, or even books that will help to develop your aptitude and intelligence for the work you are expected to perform and the duties you hope to take on as part of a promotion in the future. Go one step further and receive certification in a field related to your job description or the company’s goals to further broaden your skill set. This initiative presents you with an opportunity to position yourself in a role with the company that few others are able to fill. It also shows that you can step into a role that is already filled by another colleague if or when that individual moves up the ladder or leaves the company in the future. Always be willing to learn more about your own job and the products and services that are offered by the organization so you can easily slide into a more senior job position within the company. If you don’t need to be trained to take over a new role in the corporation, then your boss may be more willing to offer you a promotion over someone else who isn’t as well-versed in the duties and responsibilities of that position. Furthering your acumen while always remaining cognizant of the goals of your boss and the company will certainly set you apart from your coworkers. Anywhere you can fill in the gaps of your expertise and present yourself as a greater asset while also performing your current job responsibilities is only going to work to your advantage. 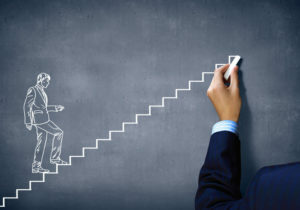 It’s not enough just to say you want a raise or a promotion, you need to plan for the raise or promotion that you want. Setting a time frame for when you would like to meet your goals will make you a stronger and more motivated employee. This way you can set smaller targets that you need to hit along the way to put yourself in a better position for your boss to recognize your contributions. Accomplishing these goals can also give you the confidence to talk with your boss about reaching your potential within the organization. Nothing big is ever accomplished without outlining your objectives first because a goal without a plan is just a wish. You can apply this thinking to how you plan on approaching your boss in the first place. Many employees are skittish about bringing up the topic of compensation, no matter how confident they are about their value to the company. It’s a sticky subject to discuss but, unfortunately, you may never get the raise or promotion you want unless you bring it up. Just like all of the research and preparation you put into performing your daily duties at the company, you’ll want to put the same amount of time and effort into getting yourself ready to sit down with your boss and present your case for a raise. You’ll want to take note of the work you’ve done up until now, the projects completed on your watch and the role you played in making sure they all came in on or under deadline, the myriad of other jobs and responsibilities you’ve taken on, and anything you can cite to demonstrate how much of an asset you are to the company will all prove highly useful when it comes time to discuss your role in the company. Don’t stop there. Educate yourself on what employees in your position earn within the industry and compare it to your present compensation. If the disparity is significant you can use that as evidence to support your case for more money. Take into account the cost of living in your area of the country as well and bring that point to the conversation. If your company is based in New York City, one of the most expensive places to live in the U.S., a raise should reflect that fact simply because your compensation won’t go as far as it would in a place like Sioux City, Iowa. As the cost of living increases, so should your compensation. 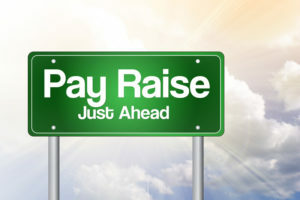 Before you begin any discussion with your boss, however, be sure you have all of your information and facts correct in order to present the best and most compelling argument for why you should get a raise. One more point to make here – be sure you know what you’re going to say when you walk into the room. Once you’ve compiled your notes, continue your preparations by practicing your pitch. Start with a mirror and then try it on a friend or two who will be able to give you responses and counterpoints that you’re likely to hear from your boss. This way you’re better equipped to answer the questions that might be asked of you without stammering or having to look at notes or papers. You want to look as polished, organized, and confident as possible. Above all, be specific about what you’re asking for when you sit down with your boss. If it’s a raise you’re asking for, know the exact number; don’t hem and haw or look wishy-washy about it. Be firm about what you’re seeking because the only way you can get what you want is if you ask for it. Specifically. That’s not to say you’ll get that exact figure but it sets a point for negotiation where you and your boss can work from and get as close to the amount that you want. As you enter into the negotiation process, be sure to stay focused on facts and established figures. Bring hard data to the table and remember to take into account any other financial or job performance components that need to be touched upon in order to successfully plead your case. Above all, the components you want to leave out of the equation are your emotions. If talks aren’t going your way, don’t be quick to get angry or upset with the direction of the conversation. Stay focused on what you know about yourself, what you’ve done for the company thus far, and why you feel you deserve a promotion and a raise. Resorting to threats that you’ll walk out of the company will get you nowhere but out of a job. You will also want to refrain from pleading your case from a position of weakness by saying you need the raise so you can make your rent or that they’re going to take your car away because you’re behind on the payments. While these factors may be true, you’ll find more success if you prove why you’ve earned a promotion or raise as opposed to why you need one. 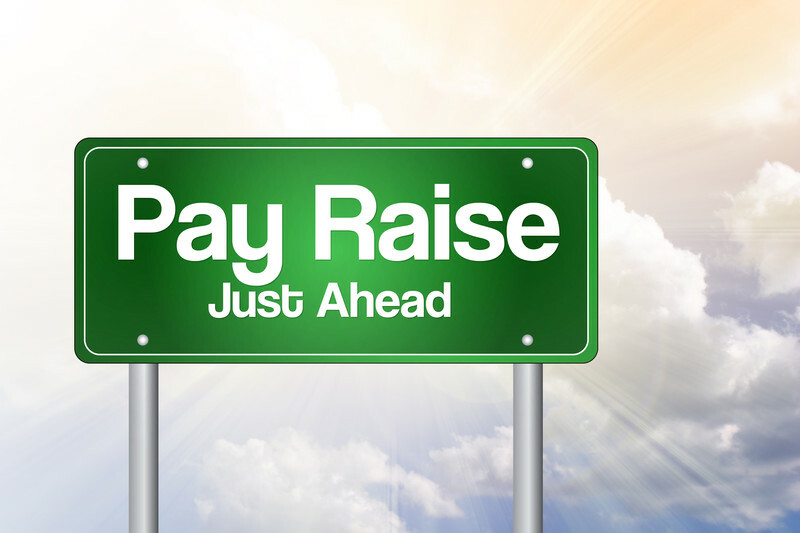 Make your case as succinct and straightforward as possible and lay out all of the reasons why you think you should be given an increase in pay. Don’t bring up any offers from competing organizations unless you actually have some. The worst thing you want to do is claim there are interested parties ready to hire you away from the company when there aren’t any. You don’t want your employer to respond by telling you to explore those offers instead. That won’t get you any closer to your goal. If, however, you do have competing offers, then be very blunt and upfront about that fact. You may receive a counteroffer from your boss, or you may not. Either way it will give you the information you need to make up your mind as to which company values your capabilities more highly. A promotion or raise is an opportunity for higher compensation. However, if you start to ask for too much, you may end up doing more harm than good. Don’t view the negotiation as an opportunity to ask for a laundry list of wants like extra vacation time, a new office, or other additional perks. If you’re asking for a promotion then, by all means, discuss what new benefits will come with that change in job title. Presuming you can start to ask your boss to throw in more extras on top of what you’re seeking can make you look greedy and entitled. You walked into this negotiation with a plan, so stick to that plan and secure that part of the discussion first. If you ask for a raise and your boss denies the request but counters by offering additional perks and benefits in lieu of an increase in pay, then you can have that discussion. Find out what they are willing to give you and then feel free to up the ante with some requests for things you may not have considered when the negotiation was solely about financial compensation. Conversely, perks and privileges may not be satisfactory in lieu of a raise and then you can have that conversation as well. Getting that promotion is going to take a lot of work. Not just within the purview of your job position but in finding the best way to communicate with your employer about an increase in your wages. As long as you remain self-assured, diplomatic, and assertive while providing facts and a positive performance history you should be able to come to a gratifying accord. This will hopefully keep you with the organization for years to come. If you aren’t able to find that common ground and you’ve become stagnant in your career goals, then it may be time to move on.